Martin Avenue Pharmacy was founded on Friday the 13th, in April of 1973, by Thomas Marks, R.Ph., with the philosophy of meeting patients’ special needs. When the store first opened, the first employee working in Martin Avenue Pharmacy was Tom’s mom. In order to keep with the tradition of keeping the business in the family, now his first born son, Matthew Marks, is working full time in the store, along with many other employees. Martin Avenue Pharmacy, Inc. originally occupied approximately 400 square feet at 10 West Martin Avenue in Naperville, Illinois. During the course of a thirty-two year period, the store grew in size to over 3,000 square feet. The last renovation that occurred at the 10 West Martin Avenue address (the store’s previous location) was completed in April of 1997. It was during this renovation that the compounding laboratory tripled in size and a sterile compounding room with a laminar flow hood was added. After almost 32 years of being located on Martin Avenue, Martin Avenue Pharmacy began a new era in April of 2005 by moving its location to a brand new 6,000-square-foot first-floor suite in the Springbrook Medical building, at 1247 Rickert Drive in Naperville. This new facility not only allowed the pharmacy to once again double in size, but also contains a seminar room, private consultation room, fitting room, and numerous other services the previous location could not offer. Throughout the existence of Martin Avenue Pharmacy, the store has been able to meet special needs and provide solutions for unique medical problems. An example of this is by offering the art of compounding at its facility. Since some treatments may not be possible with commercially available products, by compounding a certain medication, an alternative method of treatment may be possible. Compounding is one of the many services Martin Avenue Pharmacy offers to meet patients’ special needs. 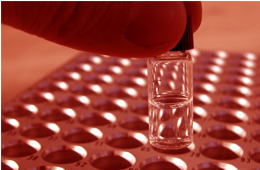 Learn about the history of Pharmaceutical Compounding – click here.